Shane’s Trees is a licensed company offering tree surgery services to residential areas as well industrial and business properties. Our crews are always reachable on phone anytime of the day and night. We’ll visit your premises to inspect the nature of the task ahead, before recommending the best way forward. Tree lopping is a delicate task that requires experience and skills; we have what it takes to remove that huge fallen tree in your backyard, or prune that overgrown tree on the driveway. Everything is done safely and quickly. Shane’s Trees prides itself of offering efficient tree lopping services, with a personal touch. When you give us a call, we’ll be keen to understand the nature of the removal job ahead. We don’t charge you for dispatching our crew to come and inspect your property; it helps us understand the situation better, know how best to get the work done. We’ll inspect any distressed trees and advice you accordingly on the best remedy. 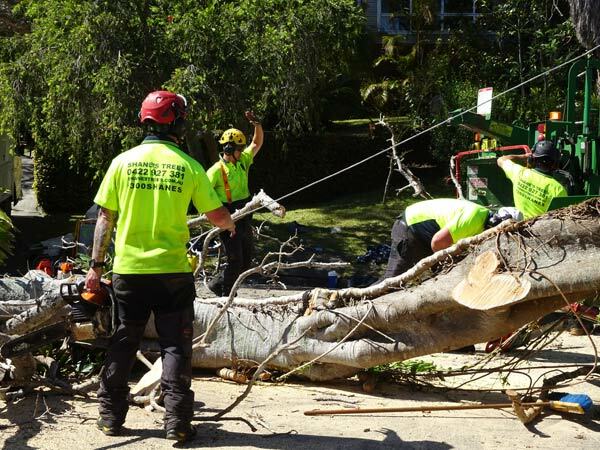 You can also contact us when you need emergency tree removal services in North Shore, our emergency crews are ever on standby. Trust us to efficiently remove that stubborn tree stump with our modern machines and equipment. Talk to us now on 0422 927 381 and get a free quote on phone. You’ll be pleased to note that our services are very competitive; we ensure that you get premium services without having to dig so deep into your pocket. Our expert climbers will come in handy where tall trees are involved and we need to prevent damages. They undergo years or training before they qualify to climb trees or chop them down. As a local family owned business, Shane’s Trees has acquired invaluable experience in the 35 years we have been in the industry. 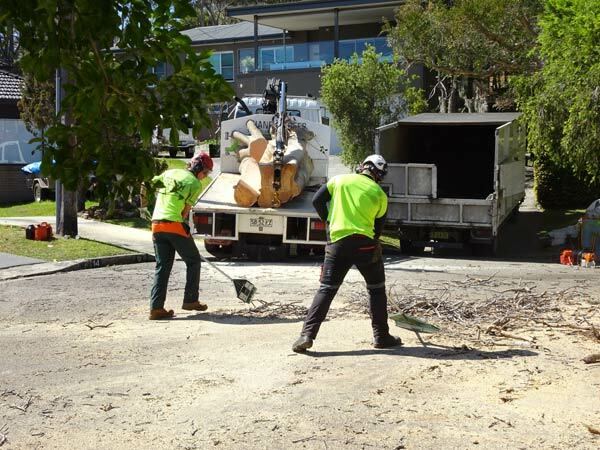 We are able to remove trees in confined areas and cleaning up before we leave. Residential owners and commercial property managers looking for a professional arborist to manage their tree lopping needs need look no further. 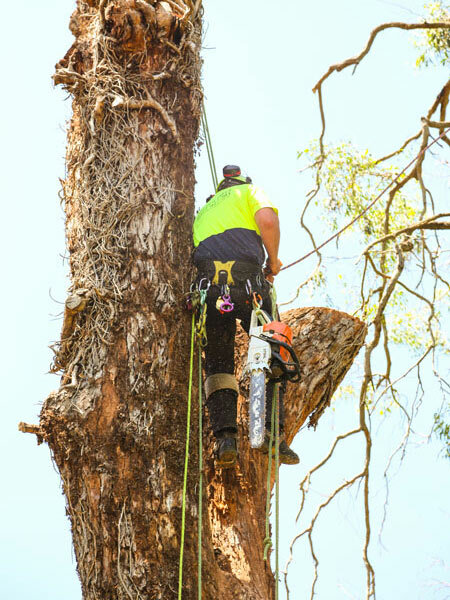 Shane’s Trees got you covered; our qualified Cert 111 Arborists are well qualified to handle all your tree surgery needs in North Shore. Give us a call today on (02) 9528 4507 or 0422 927 381.